In the wake of this month’s Colorado movie theater shooting, America has rightfully been inundated with debates about whether it should be harder for private citizens to get guns. Few, if any, of those debates, however, have focused on the merits of disarming law enforcement officers. It’s become the status quo in the United States that if anyone should be compulsorily armed, it’s police. We forget, however, that that’s not the case everywhere. I started thinking about the overlap of police work and guns this weekend while watching the hit BBC drama Luther (available on Netflix Instant now). 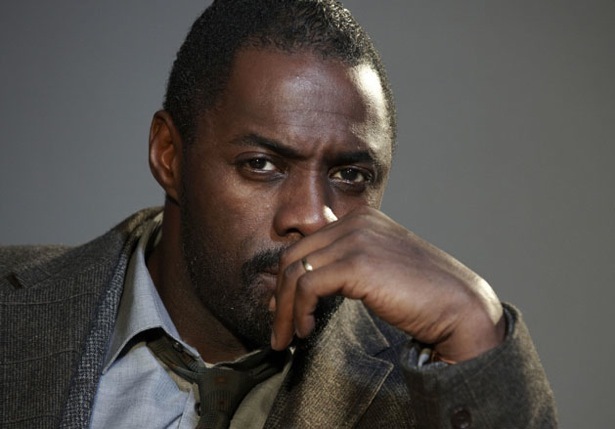 In the show, Detective John Luther, played by Idris Elba, is a troubled cop who, despite his willingness to confront the worst killers the UK has to offer, hates guns. “How does a guy who hates guns also work as a police officer in London’s bloody Major Crimes Unit?” you ask. Simple: cops in England—both on Luther and in real life—aren’t all constantly armed. For an American, watching a cop show in which the police don’t all have handguns on their hips or underneath their suit coats adds a fascinating layer of tension to a genre that’s often depressingly formulaic. In one episode, for instance, two of Luther’s fellow detectives have to quietly talk a manic serial killer out of putting down his weapon, a rusty old claw hammer. Had the setting been any American city, the scene would have been obvious: the cops would have both pulled out their Glocks, ordered the suspect to drop the hammer and, if he didn’t comply, shot him. On Luther, the task of navigating an armed suspect becomes a lot more gentle and psychological, with the police frequently having to find better ways of defusing situations than immediately brandishing guns and blasting away. There are times when Luther et al. call for armed backup, to be sure. But they rarely have firearms at hand, and the show is more compelling for it. A force of largely unarmed police does have its drawbacks, of course. On Luther, as in real cases in England, there are always times when a police officer’s having a gun on his person might have saved a life or two. But the question then becomes this: How many lives are lost because armed police shoot unnecessarily and how many lives could potentially be saved by arming every cop, and is the difference between those two sums worth it? To ask English police themselves—real ones, not TV ones—it’s not. Following an uptick in gun violence in 2006, the Police Federation of England and Wales polled officers to ask them if they’d like to be routinely armed. While 43 percent of the police force supported increasing the number of cops trained to use guns, the overwhelming majority, 82 percent, said they were against all cops having firearms. This weekend, in a part of Anaheim less than five miles from Disneyland, riots shook a neighborhood in which cops shot and killed an unarmed 25-year-old named Manuel Diaz. Diaz was running away from police when they took aim and fired on him in an alley. He died at the hospital shortly thereafter, and the ensuing clashes between his community and police have already resulted in another civilian death. In England, Diaz may have gotten away, but chances are he’d still be alive right now, and I think that’s OK. As I’ve learned from Luther, sometimes the best police work is knowing when not to shoot.